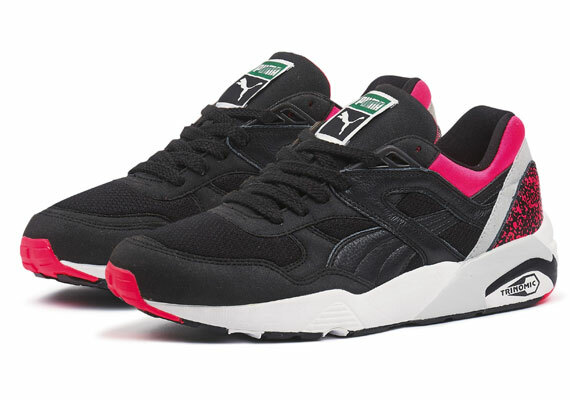 An already popular silhouette for Spring/Summer ’14, PUMA brings back the R698 in OG form complete with the look and build of the original 1993 version with the release of the aptly named R698 0G 93. 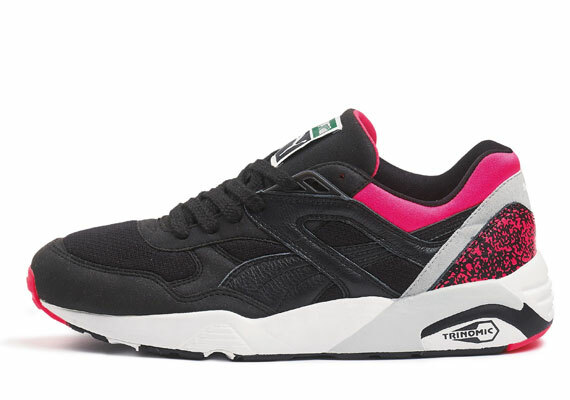 This edition of the R698 is a follow up to the recent re-release of the PUMA classic XS850 from the 90s Trinomic range. Paying homage to the OG colour pallette of the XS850, the R698 gets the flipped colour treatment opting for a blacked out approach on most of the forefoot. 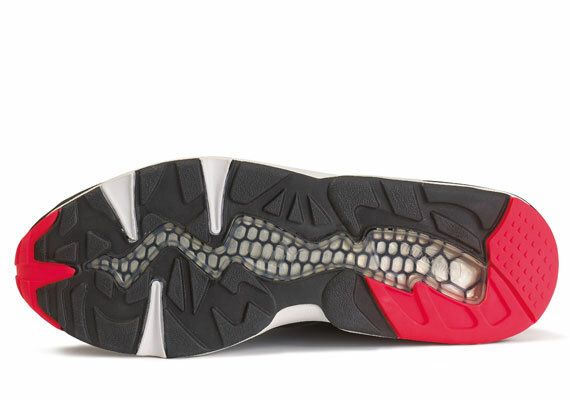 Taking inspiration from the XS850 splatter print, this has been applied to the heel of the R698. Further hits of pink at the rear of the shoe provide a unique and explosive hit of colour for a contemporary take on this 90s classic. The Puma Cream R698 OG 93′ will be available at Wellgosh from 17th May.